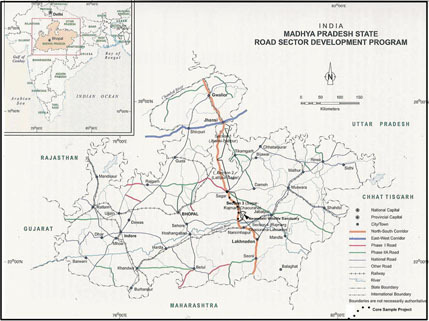 National Highways Development Program, including improvement of the main central highway in India comprising most of the NH26 and NH7 in the states of Uttar Pradesh, Madhya Pradesh, Maharastra and Andhra Pradesh, is being carried out by the National Highways Authority of India. The project involves widening to a dual two lane carriageway with central reservation. The aim is to shorten traveling times in the north south corridor and attract traffic from the better roads to the east and west and attract development and commerce to the central states. The Project was reconfirmed as a category B environmentally non-sensitive Project in accordance with the ADB’s requirements of 2003. Therefore IEEs were undertaken for the various sub projects. Alternative routes, including minor realignment of the existing route and major bypasses were assessed during the selection of the preferred alignments. In places the existing alignment passes through Reserve Forest (RF) and impacts were reduced by widening one side. 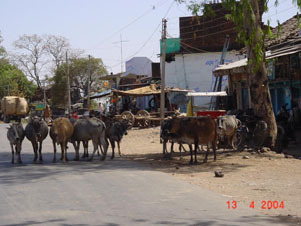 Impacts to sensitive locations such as wildlife sanctuaries and buffer areas were reduced by improving alignments and shortening roads in the sensitive locations. Archaeological sites, antiquities and monuments were avoided by careful realignment of the widened trace. David Green conducted a state wide Sector Impact Assessment to assess the overall impacts from the loan activities. He also assisted with capacity strenghthening for the local consultants with advce on the compilation of IEEs to comply with ADB guidelines. Environmental management plans were compiled with typical environmental mitigation requirements which will serve to manage the impacts from all phase 1 improvements and guide implementation of future plans.